Looking for the perfect romantic gift to surprise a loved one with? 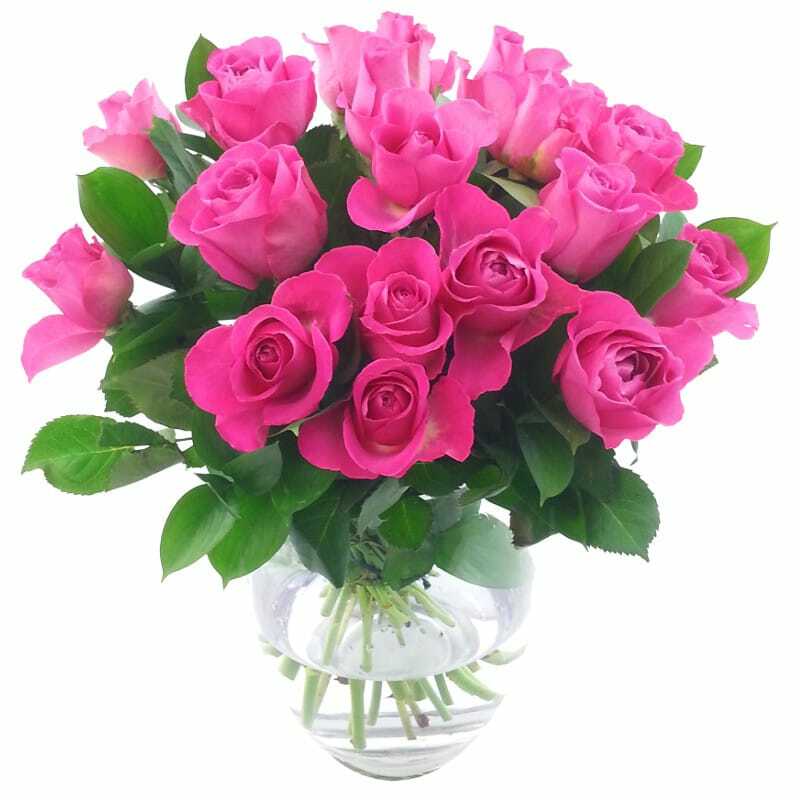 Look no further than the 20 Pink Roses Bouquet from Clare Florist. Featuring vibrant pink petals beautifully offset by fresh green foliage, this alluring bouquet is certain to impress. Versatile and eye-catching, the 20 Pink Roses Bouquet will hold pride of place wherever it is placed around your home. Whether you are ordering as a gift for a loved one or as a treat for yourself, you can rest assured that we will deliver this fabulous bouquet next day with free delivery included! The roses are selected and arranged by our expert florists, then tastefully gift wrapped, with delivery 7 days a week throughout the UK. Your flowers will be delivered in our special delivery box to prevent damage while in transit, so they arrive in excellent condition all for just £27.99! If you are sending this as a gift, why not add a yummy box of Lily O'Briens Chocolates, a Handwritten Greetings Card, a chic glass vase or an adorable teddy to accompany your beautiful fresh hand-tied 20 Pink Roses Bouquet bouquet. We also have a large selection of Rose Bouquets and an array of different gift sets to suit every occasion.